High ridges are awe-inspiring! They create an opportunity to gain perspective on where you’ve been and get a clear view of where you’re headed. High ridges also have an element of risk. You’re exposed and more vulnerable. But reaching your destination is a great reward! And so it is in leadership. Transformative leaders take stock in the experiences that have shaped them and are clear about their future goals. They can feel alone in their endeavors because leadership requires taking risks that not everyone wants to take. But great leaders know the risk is worth the reward! 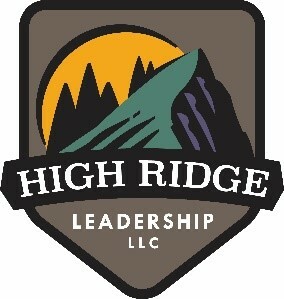 At High Ridge Leadership we help people navigate the challenges of leadership. 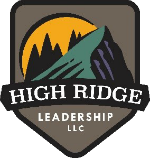 Through our workshops, leadership training, and professional coaching, we will help you gain confidence by creating opportunities to meaningfully reflect on past experiences and attain skills for what lies ahead in your leadership journey! "This program has put a human face on the leadership topics and theories." "I learned that being out there on the edge with growth is not a bad thing. Good things happen when you go toward to the edge." "My goal was self-improvement and I have achieved it! Plus, I received a number of tools to help me be more self-aware."